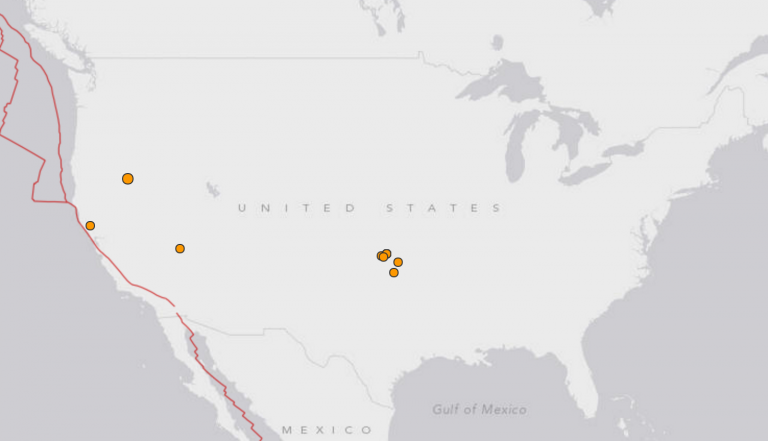 The USGS real-time earthquake map showing the earthquakes that occurred throughout the U.S. today. Some residents of South Jersey reported today another round of ground shaking. “Our house in Cape May shook pretty well at around 11:20 this morning. Anybody else notice it?” wrote John Bailey on the popular Cape May Good Times Facebook group. As of this evening, it is not known what triggered today’s incident.